Make a beautiful rain display or a water show or water effect at your event. The vision and sound of real water falling in a stage show or at a special event adds an environmental experience like nothing else can. TLC creates custom water effects like rain, splashes, and controlled water effects for shows, all safely contained for display on stage. Indoors or outdoors, water creates many opportunities for beautiful and original displays. Lighting adds dramatic visual impact to falling water and rain effects, highlighting the effect to showcase the water for the audience or for the camera or both. New technology LED lighting creates illuminated water that looks saturated with dynamic color. TLC brings these technologies together to provide options that audiences have rarely, if ever, seen in person. Water screen shows are an awesome way to present video and projected lighting images and laser imagery, on the bright, shiny surface of the water. Laser animation is particularly exciting on water due to the waters amplification of the scatter and brightness created with laser light shining through the water droplets. Whether the water screen is pumped from below, or created by falling from above, the effect is spectacular. 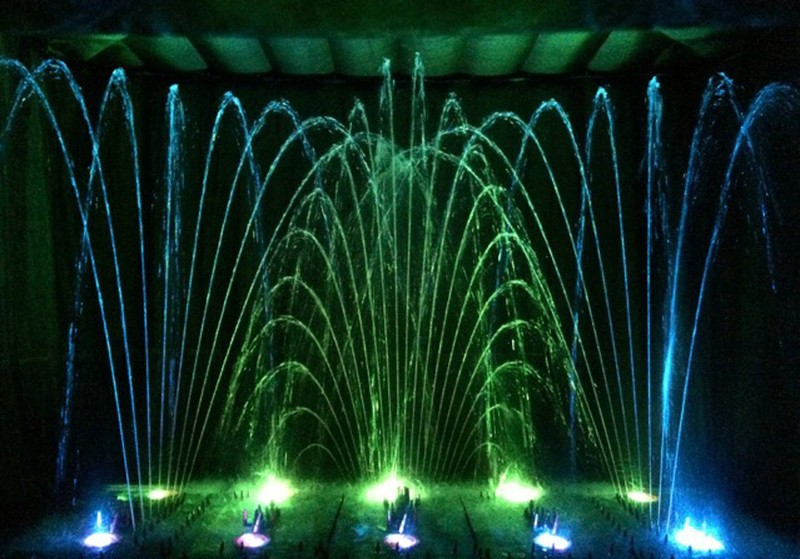 Bring the energy and special fun of water show technology to create your own ‘Fantasmic’ at your event. Dancing water fountains and bursts of water that fly through the air create a new generation of musical water shows that delight and thrill all audiences. Dancing waters shows are beautiful entertainment experiences, and can be as subtle or as intense as any other kind of special effects shows. TLC choreographs original water shows for events, and by adding atmospheric and laser effects, can create a completely unique special effects entertainment. 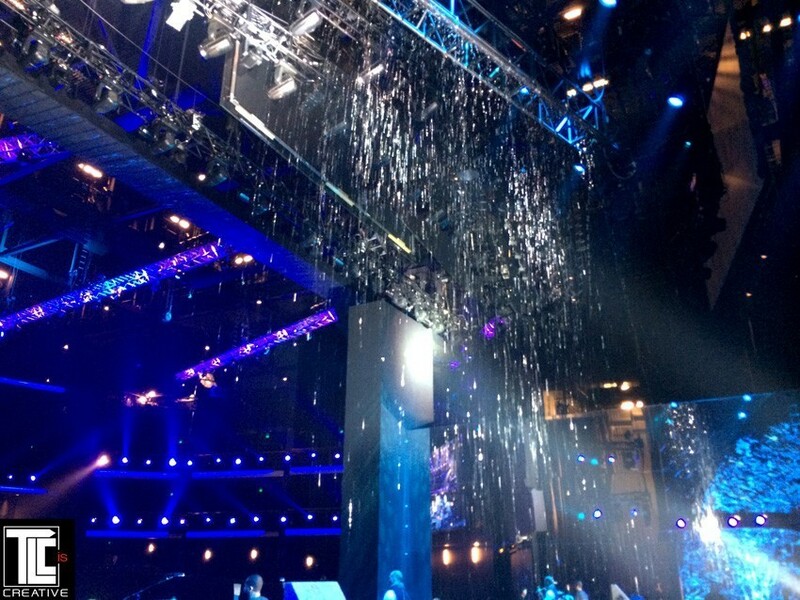 Water effects were created by TLC for live television performances on America’s Got Talent and Dancing With The Stars. The special effects teams at TLC work closely with photography and lighting teams to insure the best display of water and water effects. The level of water control these days can be designed for precise control and cue predictability. With TLC’s expertise in projection effects, the combination of water and light is truly a new science, creating spectacular visual impact. 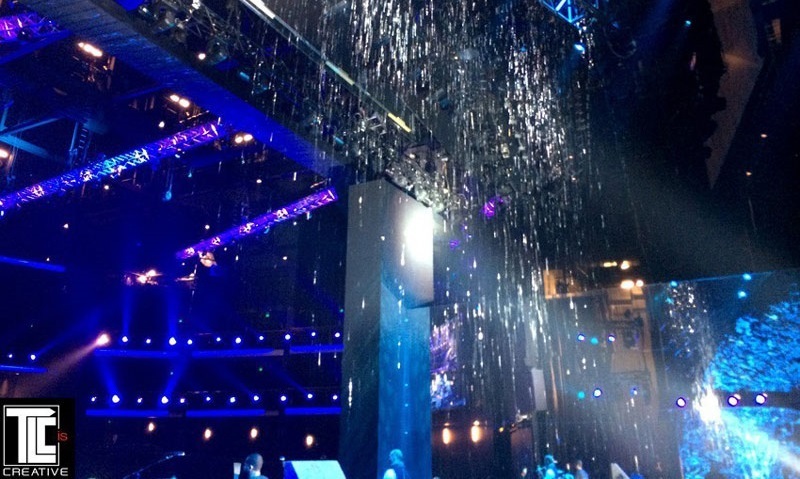 Rain, Water Effects and shows – TLC creates custom water effects and water-screens and water shows and events.